The last Museum on my list to see was the Sammlung Boros Collection, which is housed in a former Bomb Shelter built during WWII on Hitler's orders. There were no takers for the project, so forced labor had to build the bunker. After the war, the place changed hands a bunch of times and now is owned by some rich dude whose passion is to buy art for his collection. The bunker is his private residence on the top floor, and the rest of the floors to show off the art which he changes every four years. He only buys from living artists, and refuses to have an agent or a curator. The artists are not necessarily famous but just whose work speaks to him personally. 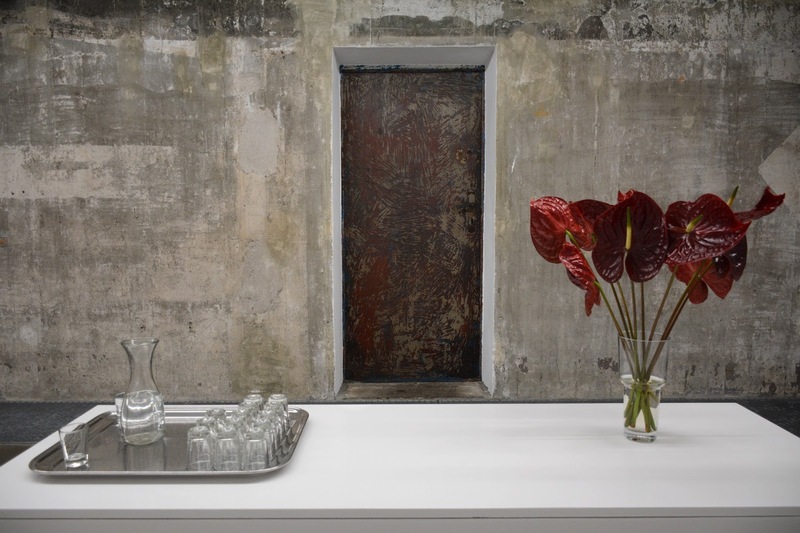 Because his bunker attracts so many visitors per year, he has unintentionally become a driving force in the art market. One review online said that this place was "so hip it hurts." So I really wanted to see it. I looked it up online to find out where it was since it wasn't on my Berlin map, and I was disheartened to see that you need an appointment to visit the bunker. They only let groups of twelve enter at a time on guided tours, and otherwise you are out of luck. There was only one slot available during my entire stay here but it was for a German tour. I really didn't know if I should do it or not. How much will I really enjoy it if I can't understand the guide? Does art need a guide's explanation to be enjoyable? How much will I regret it if I don't go? These were some of my questions I pondered. I decided, what the heck, I'm signing up. So Friday was my appointment day, and I walked there and arrived nearly 40 minutes early. 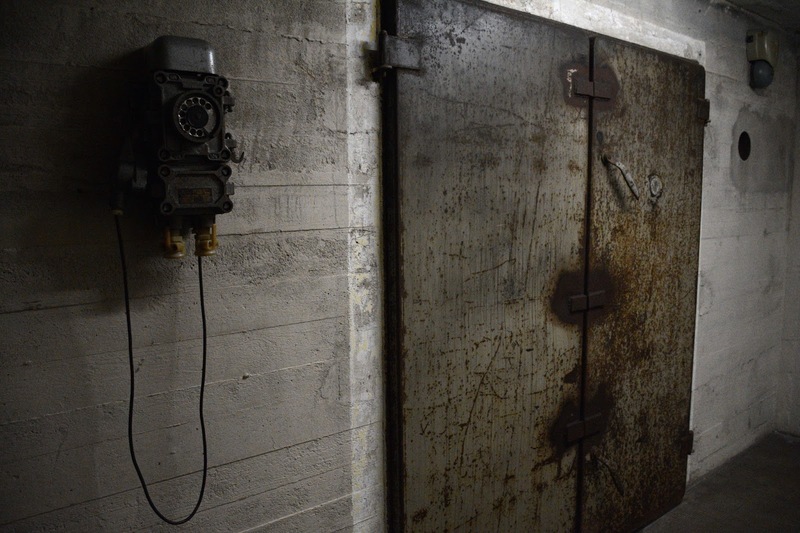 It was kind of hard to figure out how to get in the place, but I found small solid metal doors that were very heavy and entered into the darkness. I said to the receptionist that I was here to check in for the 2:00 tour, and the guy responded after a pause, "Would you rather go on the English tour starting in 10 minutes?" I said, "well, yeah, but there were no available slots when I signed up." He said, "Yes but there was a single cancelation, and it's very hard to fill a party of one since most people come in groups." Can you believe it? There was this magical opening just for me on the English tour. And I sure am glad because I wouldn't have enjoyed it nearly as much if I didn't know the stories behind the work, and the building as we walked through. The building was built in brutalism architecture style and has a solid cement roof 3.5 meters thick, with outer walls being about 4 feet thick. There are no windows and all the air vents to the outside curve around corners so that no bullets could get it. The place is built to withstand an atomic bomb. It was hit by two bombs that didn't phase it at all and sheltered 4,000 civilians at one point. The guy that bought it in the 90's when their economy collapsed purchased the building for 1 Denmark, which I don't know how much that is, but it was virtually free, but the purchase came with a strict contract of rules. He was not allowed to change the outer structure of the building whatsoever, he was not allowed to change the inside very much and in limited ways. So everything that had to be brought inside the building had to come through the same small doors that I entered the building through. Which meant heavy construction machinery had to be dismantled and brought in piece by piece and reassembled inside to take out walls and do other heavy construction. The art was all highly conceptual and I don't know if I loved the way any of it "looked," but the ideas behind the art and creative presentations were really something to see. It was definitely Art (pronounced Aht) with a capital A. Lots of such suchness. There was strictly no photos allowed in the exhibit but I made a few in the waiting area where the group assembled. Some day soon maybe I'll get to add some pictures here.